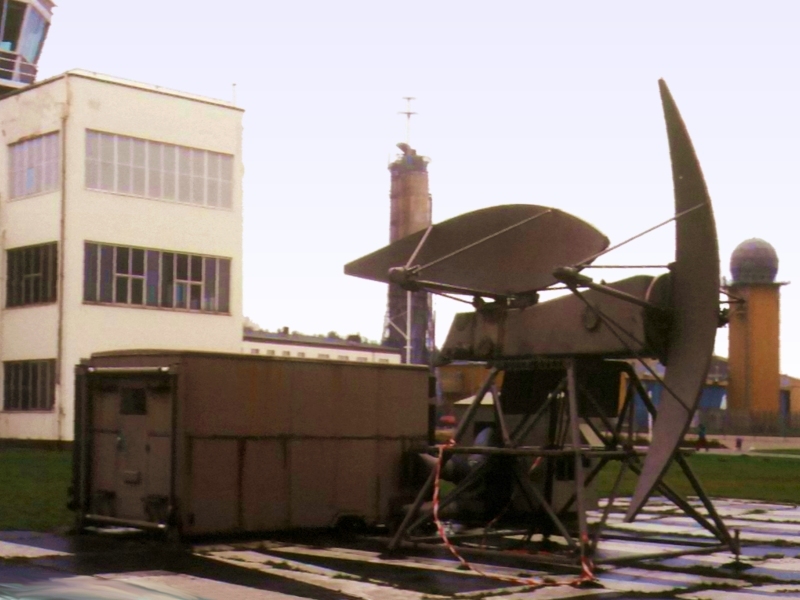 The Precision Approach Radar PAR-C used two parabolic antennas making a head-shaking respective nodding movement. The scanning cycle (elevation up - azimuth left - elevation down - azimuth right) lasted 1 second. The reflector dimensions were 4.6 • 1.05 m and 0.65 • 4.6 m. The beamwidth in the scanning plane was 0.6 degrees. The console in the radar shelter used a 10"-display Cathode-Ray-Tube as predecessor of the Beta-Scan-scope. The range was displayed in a logarithmic scale.